In 1968, on the verge of his fourth Vietnam tour with the Navy, Martin Wiegel got a call that his father, Otto Wiegel, had suffered a stroke. Armed with a bachelor of science degree in industrial engineering, but with no real manufacturing experience, Martin left his military career to take over the family business. Unlike most children inheriting a company, Martin chose to learn the business and waited 12 years before he took over operations for the company. Over the course of his tenure as president, Martin evolved Wiegel Tool Works’ culture, its product offerings, and its commitment to technology. When Aaron Wiegel took over in 2010, he had learned both a strong work ethic and the importance of technology and culture from his father. Aaron described the company’s approach to technology this way: “My dad picked some winners and he picked some losers, there’s no doubt about it. But we grew up to not be afraid of technology.” Aaron had worked in the business since eighth grade and knew how to run every machine on the factory floor before he took over the company. In the seven years since Aaron was named president, he has taken the company from $16 million in annual sales to $45 million. The company’s unparalleled success can largely be attributed to a refined product focus by both Aaron and his father and an innovative approach toward ownership and expansion. Wiegel Tool Works experienced modest growth between 1941–1968, producing a wide range of tools. However, the majority of its profits came from stamping, which was only a small part of the business. With Martin Wiegel and Aaron Wiegel’s leadership, the company narrowed its focus to stamping, acquiring the technology, tools, and metrics-led process to become global leaders. With Martin and Aaron’s strategic leadership, Wiegel Tool Works turned its focus entirely to precision metal stamping. 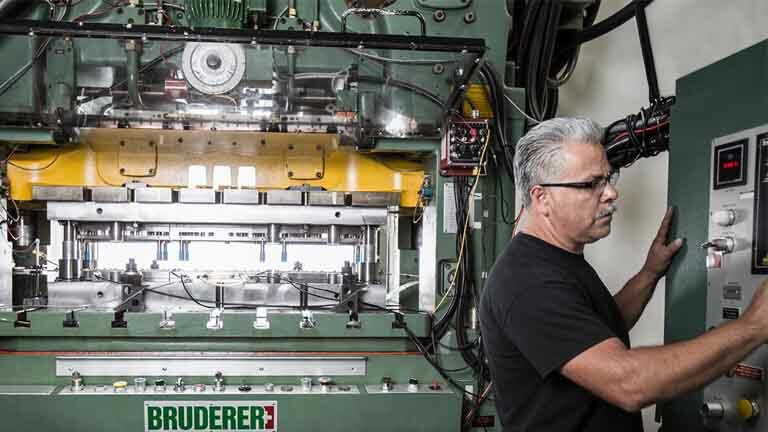 Today, the company is capable of both heavy and high-speed production, offering an unmatched combination of 3D modeling and tooling simulation, sensor and inspection technology, and the finest German tooling techniques. 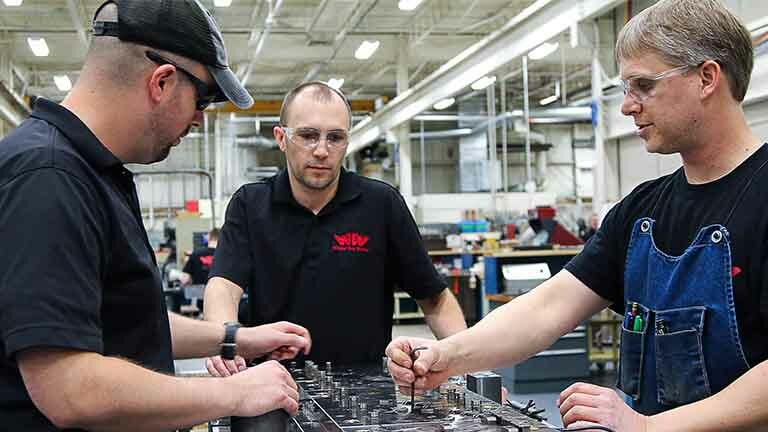 Concentrating on the most lucrative aspect of the business has allowed Wiegel Tool Works to become a global leader in the field. Martin Wiegel thrived in his tenure as CEO in spite of an ownership structure that severely limited the company’s ability to reinvest and grow. The Wiegel family’s innovative approach toward ownership and expansion has potentially positioned the company for the largest global growth opportunity in the company’s 75-year history. In 1968, Martin Wiegel joined Wiegel Tool Works, eventually assuming leadership of the company 12 years later and ownership of the company in 1984. As with any business, Martin faced a variety of challenges throughout his years as CEO. However, his two largest challenges were not of his making and lacked true solutions. Between 1968 and 1984, Martin’s mother maintained ownership of the company from her condo in Florida and had the final word on spending decisions. When ownership was eventually transferred to Martin in 1993, Martin was required to pay a 55% inheritance tax. Both of these factors, although out of Martin’s control, decreased the company’s liquidity and severely handicapped Martin’s ability to reinvest and grow at the rate he knew was attainable. Discover how NAM or Salesforce can help your manufacturing operations grow.